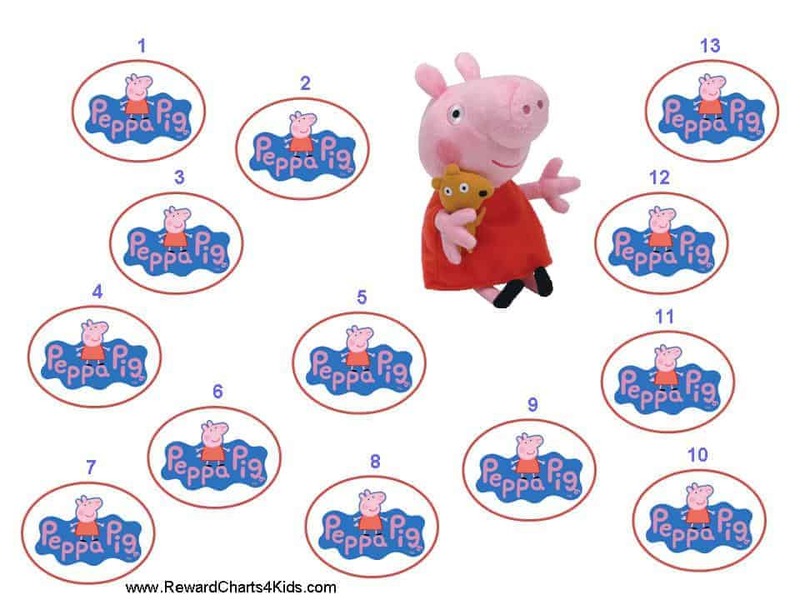 The following Peppa Pig Reward Charts will be sure to encourage and motivate Peppa Pig fans! All charts can now be personalised. 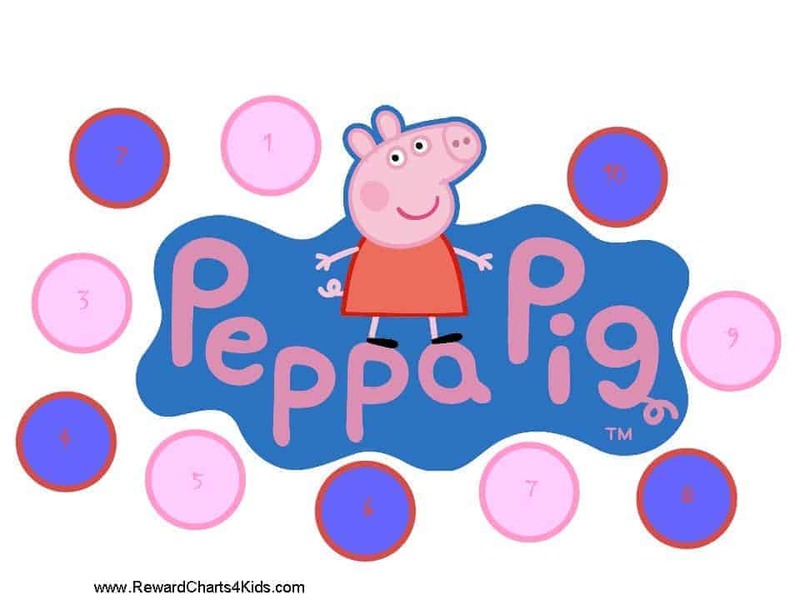 The different charts include different numbers of steps from 10 to 20. 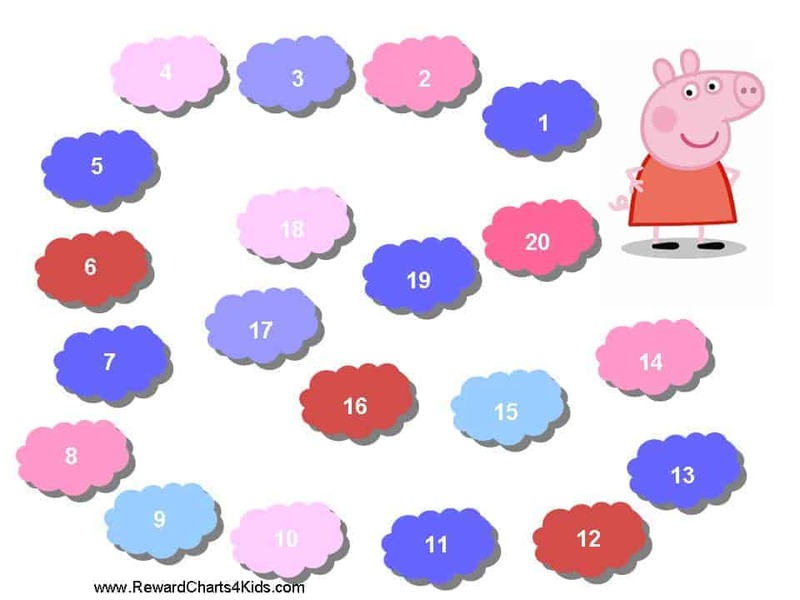 Moreover, you will find a Peppa Pig reward chart, sticker chart, chore chart, potty training chart, behaviour chart and other charts for kids. Read the tips on using reward charts on this site in order to get the most out of them and ensure that the process is successful. There is a lot of white space that you can use to add text such as a list of goals for your child. Click on customise and then on the “add text” button to add text to the chart. You can add a chore list by clicking on “add text”. 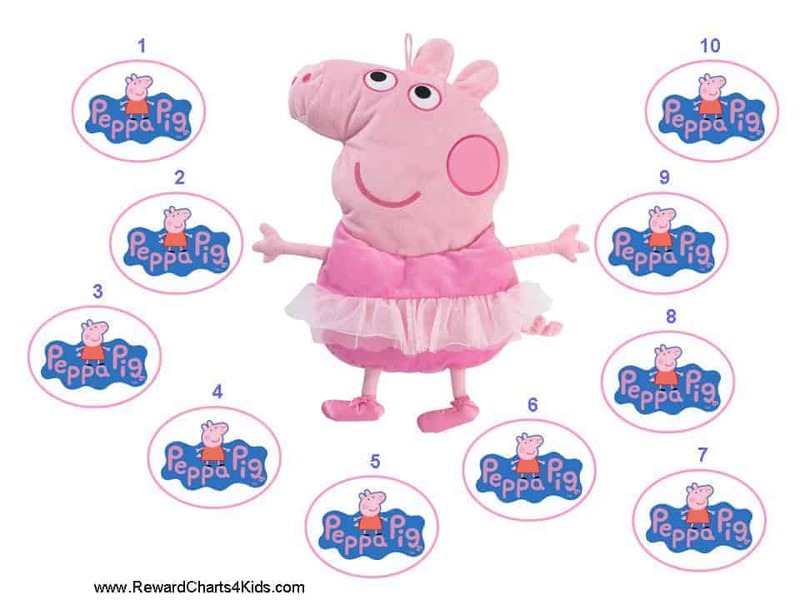 Each time your child goes to the potty or wakes up dry give her a sticker on this sticker chart. If you want to type the list of goals or chores then just click on “add text” and type the text that you want to appear on your chart. You can move it around until you are happy with the placement. You can also make it larger or smaller by dragging the arrows in the bottom right corner. 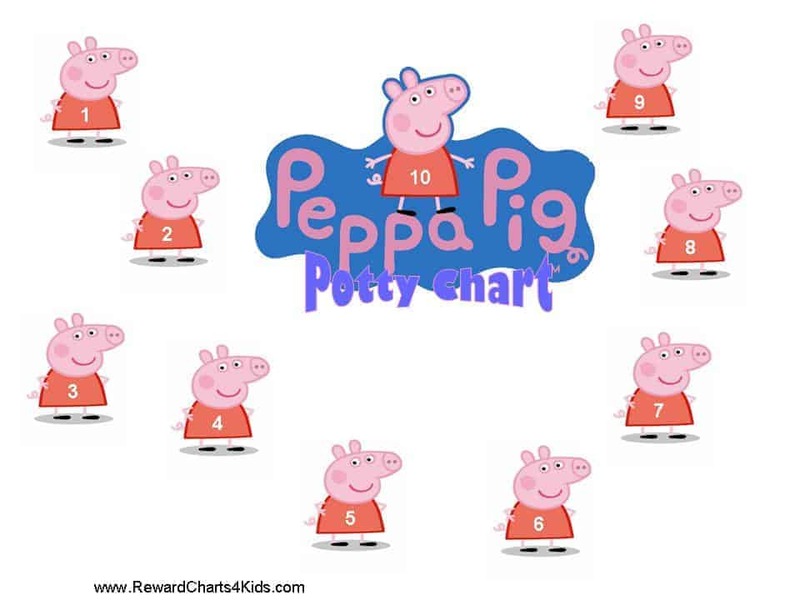 We also offer 5 free Peppa Pig charts with your child’s photo. 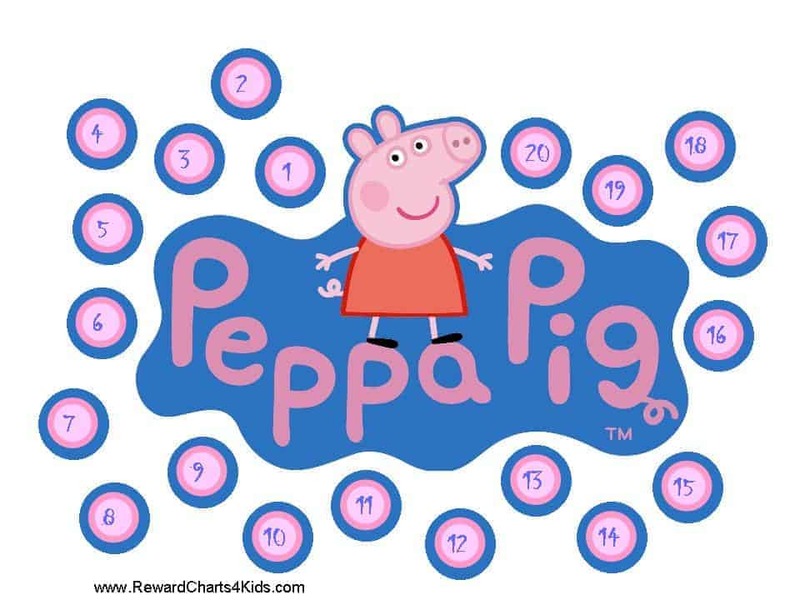 The titles and all text can be customised so they can be used for any purpose. Replace the text with goals or chores.